Upon your arrival in Delhi, our company representative will assist you to head towards assigned hotel. Take rest after this long journey, later on you can explore several places of tourist interest such as Humayun’s Tomb, Red Fort, Lotus Temple and Delhi Haat, to name a few. These places are symbolic to the rich Indian culture. Visit nearby shopping places before driving back to the hotel. Overnight stay in Delhi. After having a healthy breakfast in the hotel, check-out and proceed to explore the city that is home to many famous attractions. Later on head towards your onward destination Mandawa by car. Upon arrival check-in the assigned hotel in Mandwa. Overnight stay in Mandawa. After having a healthy breakfast in the hotel, check-out and start your sightseeing tour for Mandawa. Visit the famous Shekhavati villages Mandawa, Nawalgarh, Dundlod, etc., full of beautiful frescoes, havelis & mansions. This entire area is like an open air gallery. Later on head towards your onward destination Bikaner by car. Upon arrival check-in the assigned hotel in Bikaner. Overnight stay in Bikaner. After having a breakfast in the hotel, check-out and explore Forts, monuments, palaces and temples, also visit Deshnok and Bhanda Sagar Jain temple and the famous museum Lallgarh Palace. Later on, proceed for Khimsar by car. Upon arrival check-in the assigned hotel in Khimsar. Than explore the attractions of the place such as Khimsar Fort that is situated in close proximity to the Thar Desert. Spend leisure evenings enjoying folk dance performed by local artists. Overnight stay in Khimsar. After having a breakfast in the hotel, check-out and drive towards Jodhpur. Upon arrival check-in the assigned hotel in Jodhpur. Later on enjoy Jodhpur city tour and visit places such as Mehrangarh Fort, Jaswant Thada. Overnight stay in Jodhpur. After having a breakfast in the hotel, check-out and drive for Kishangarh. 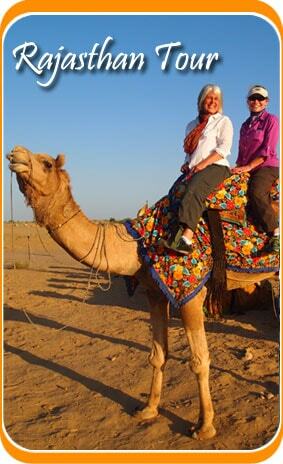 Visit Pushkar and Ajmer Sharif en-route. These two places are known for religious significance, as Ajmer is known for Dargah Sharif & Pushkar is famous for the Brahma Temple & Pushkar Lake. Continue drive towards Kishangarh and upon arrival check-in the assigned hotel in Kishangarh. Overnight stay in Kishangarh. After having a breakfast in the hotel, check-out from the hotel & proceed to visit Kishangarh Fort that is symbolic to the royal Rathore rulers. Later on continue drive towards Kuchaman and upon arrival check-in the assigned hotel in Kuchaman. Same day visit the Kuchaman Fort and Meena Bazaar. Overnight stay in Kuchaman. After having a breakfast in the hotel, check-out & drive towards Jaipur, the most popular destination also called the Pink City. Upon arrival check-in the assigned hotel in Jaipur. Overnight stay in Jaipur. After having a breakfast in the hotel, proceed to excursion of Amer Fort where you take a joy ride on an Elephant to reach Fort. Later enjoy a guided city sightseeing tour, covering HawaMahal, Royal Observatory, NawabSahab - Ki - Haveli, City Palace and Johari Bazaar. Evening visit ChokhiDhani Village, a beautiful village resort in Jaipur depicting the colourful lives of people living in the villages of Rajasthan. The food of ChokiDhani is marvelous. Dinner will be served in traditional fashion and is a very enjoyable experience. Drive back to the Hotel. Overnight stay in Jaipur. After having a breakfast in the hotel, check out and proceed back to Delhi. 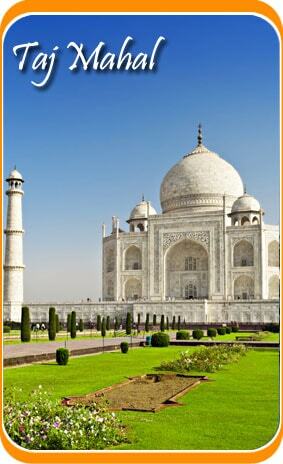 Continue drive for Delhi International Airport to board your onward destination flight. We'd like to hear from you. Send us your message or just say hi with our contact form or directly via phone, we love to chat.